We booked the whole bungalow for one day for 4 families. 8 Adults and 7 children. The 3 rooms on the upstairs and another on the first floor provided us with ample accommodation. We had a quite relaxed time while children had lots of fun playing in and out. The bungalow is in very good condition and nicely maintained and kept its old design. Staff was very friendly too. It was a wonderful stay for all of us. The staff at Brockenhurst made our stay at this beautiful Bungalow even better. The food that was cooked by the chef was exceptional and the butlers were so helpful and accommodating. The gardens are beautifully maintained just like the rest of the house and the location is close to the town. We have already recommended this place to others and intend to stay here again! We had a amazing experience staying at Brockenhurst Bungalow. We were biker group, arrived with 3 motorbikes and after tiring day of riding, Rajiv, the owner of the Bungalow together with Chef Waruna arranged us nice welcoming tea reception and hospitality was great. 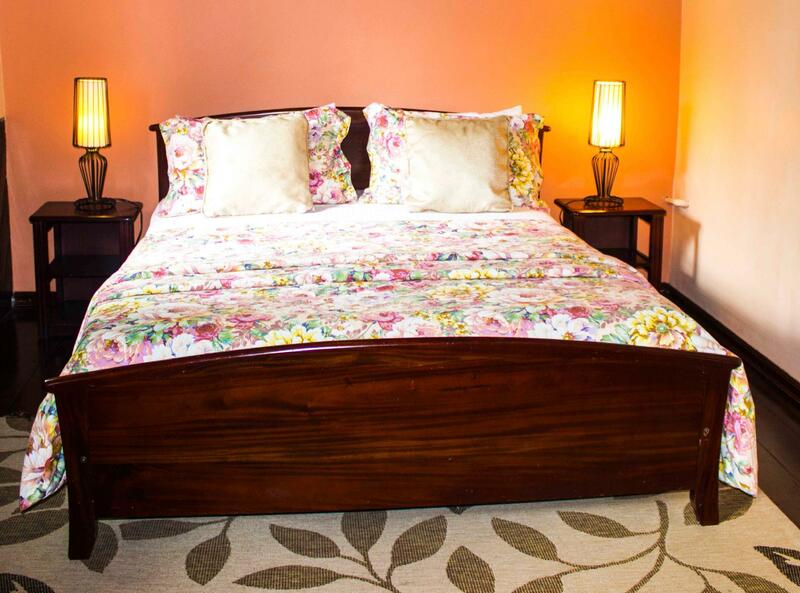 I would highly recommend this bungalow who ever want to have a relaxed stay in Nuwara Eliya. We had a wonderful time and thoroughly enjoyed our stay. The food was great. View was gorgeous and atmosphere, serene. A relaxing stay. this is the best hotel I booked in my sri lanka 9 day trip. my families enjoyed so much staying here.. with my kid love the dog (Sky is the name). Chelf made great currey and toast for breakfast Host is a very friendly guy. he came to visit us also share the house histories... we even cooked a great Chinese dinner in the villa will come back! Eine gute Adresse in Nuwara eliya! Wir waren zu acht und sehr schöne 3 Nächte verbracht. Gutes Essen! Waruna, der Verwalter der Anlage, hat um uns sehr nett gekümmert. Natürlich andere 2 Jungs auch sehr hilfsbereit. الفندق موحش ويصلح لعائلات كبيره الانترنت ضعيف جدا الحمامات تحتاج صيانه المطبخ مشترك مع العاملين وباب غرفة احد العاملين تفتح على المطبخ ، ورائحت طبخ العاملين تصل للداخل غسالة الملابس مشتركه مع العاملين تم طلب اشعال حطب لبرودة المكان الا انه تم اشعالها مرتين وتنطفئ . لايوجد تنظيف للغرف كل يوم .